Safari Magic! | Luxury Safari Experts | African Safari Co. The ultimate safari experience is arguably encountering Africa’s charismatic wildlife during a game drive. Right? This is usually the case in Kenya’s Maasai Mara. However, at Governors Camp, we enjoyed a really special moment right in camp, that will be remembered for a long time. 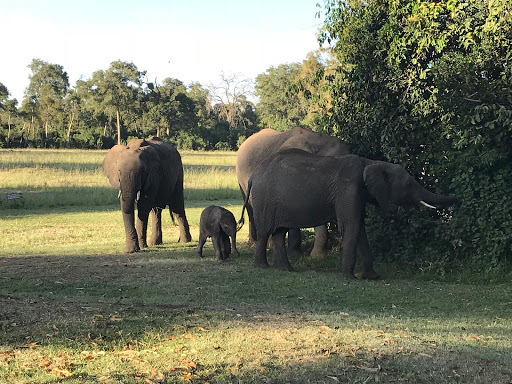 Last month, in the middle of the night, the distinct sound of elephant rumbles and grumbles began to make their way towards the far west side of the camp. We refer to this side as the ‘plains side’, with all tents facing out towards the plains of the Maasai Mara. The sound of large, nightlife wanderers is not uncommon to the good folk of Governors Camp. As the elephant harmony drew nearer, it soon became obvious that this was no ordinary feeding session. Within one hour our camp’s rondavels were surrounded by a herd of fourteen elephants creating quite the rumpus. Having woken to the noise, the camp’s manager, Harrison Nampaso, quietly crept outside to assess the commotion. To describe his timing as perfect would be an understatement, as at the exact moment Harrison cast his eyes on our rowdy neighbors, something magical began to take place. The previously muffled grumbles were now clearly warning signals made by the majority of the herd, who by now were all standing in a near to flawless circle surrounding one female elephant in particular. Unbeknown to Harrison, this female was soon to be a mother. 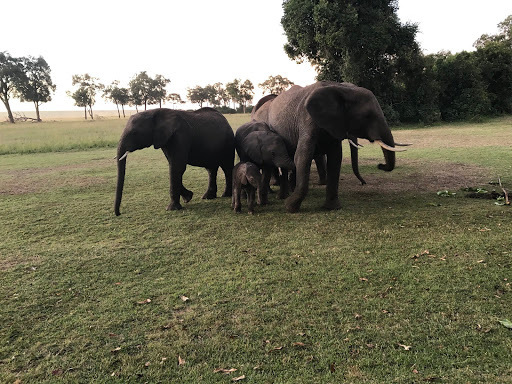 The protective barrier the herd had created for the female is a wonderful reminder of the emotional intelligence the elephant species possess, as each herd member made it their utmost priority to shield the female during this vital moment. As the circle began to break and the herd slowly dispersed, the female moved around frantically giving out a few bellows, then within moments, a tiny, four-legged animal dropped out onto the dry earth. The now mother elephant began to clean and nurture her beautifully ruddy, but extremely wobbly, newborn calf, while the rest of the herd gathered again. It was as though thirteen midwives were competing to assure the stable condition of the newborn, touching their trunks against the mother and baby to encourage feeding. As the first flush of morning appeared, tent zips drew up and those guests residing in our plains tents were fortunate enough to be one of the first to witness the hour-old calf; who by now was half hidden underneath its mother, suckling. This moment was a prime example of nature’s mercurial temperament and heading out on that early morning game drive a few minutes later than usual was well worth the delay. 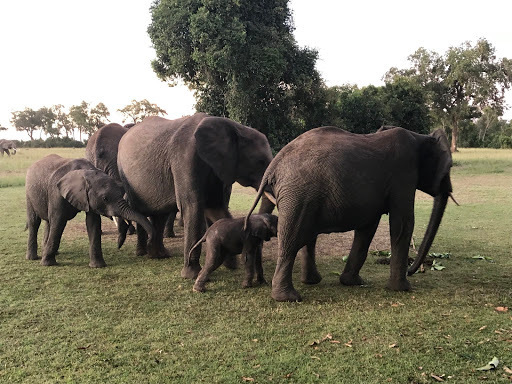 The herd had been visiting camp on a daily basis three to four weeks prior to the birth of their newest member, and have maintained the routine ever since. Grazing and browsing across the plains and marshland during the day, before customarily returning to the safety of the camp in the evenings. The invulnerability and safety evidently experienced by the herd, when within the camp’s vicinity, is extremely special. To then have this feeling of security result in a birth right on our doorstep is a sublime gift we will forever cherish. 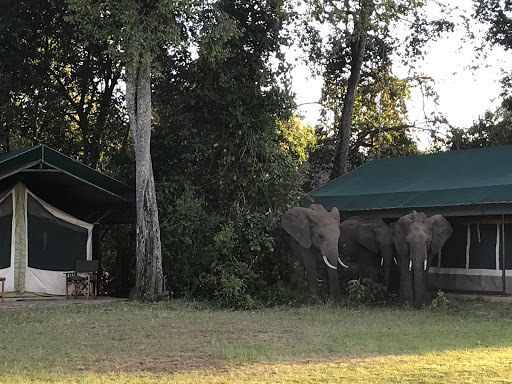 To the elephants of Governors Camp, thank you for choosing us!